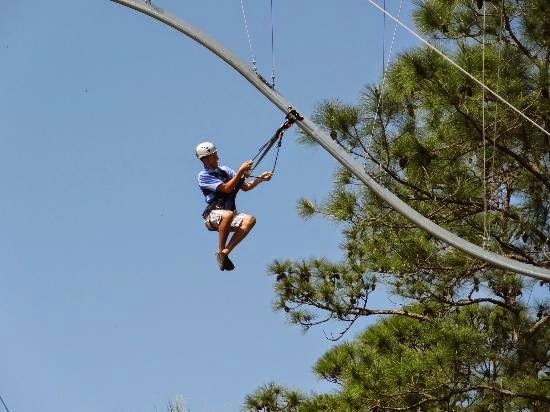 A two and a half hour adventure, you will zipline through the treetops reaching heights of 68 feet and speeds up to 30 mph. A photo crew will even capture photos of your time! If you're up for even more adventure, you can experience the zipline at nighttime! 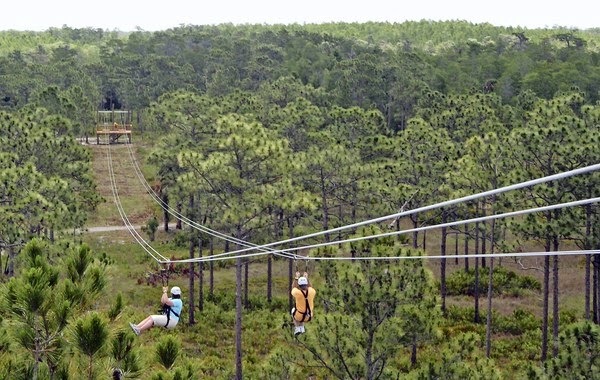 Lots of Florida's native wildlife is most active at night so the experience is completely different from the same zipline during the day. 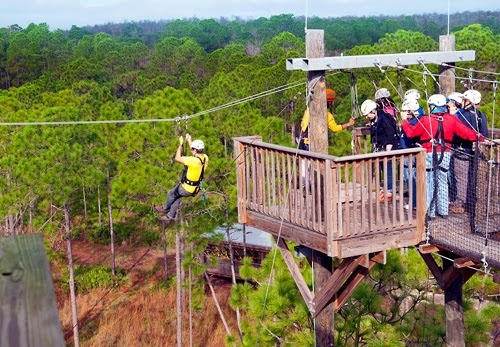 Launching from a 65-foot-high platform, riders climb and fall through the treetops along a rail system! Step off the 7-story platform and freefall (in a controlled manner) to the ground below. Jump if you dare! Race friends down side-by-side ziplines. The path is over 1,300 feet long and the views are breathtaking! 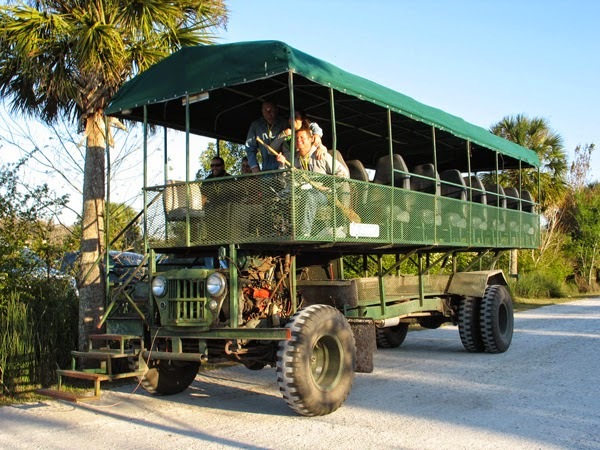 Take a guided tour in a giant safari bus observing over 4700 acres of wildlife conservation area preserved just as nature intended. You could see alligators, black bears, white-tail deer, many species of birds and panthers. 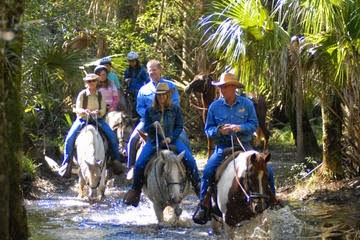 Ride a horse through creeks and along historic trails. All levels of riding experience are welcome! After a short training session, riders will head out to the pastures to try their hand at gathering a herd and driving them into an arena. 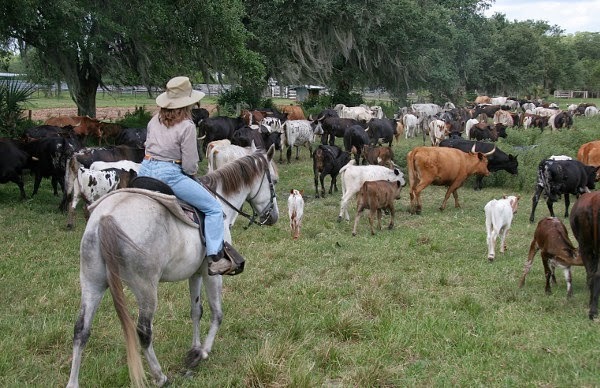 You'll learn to keep the herd tight and run down strays. 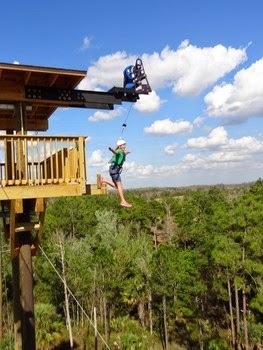 If you think you're up for the challenge, check out the adventures on the Forever Florida website.